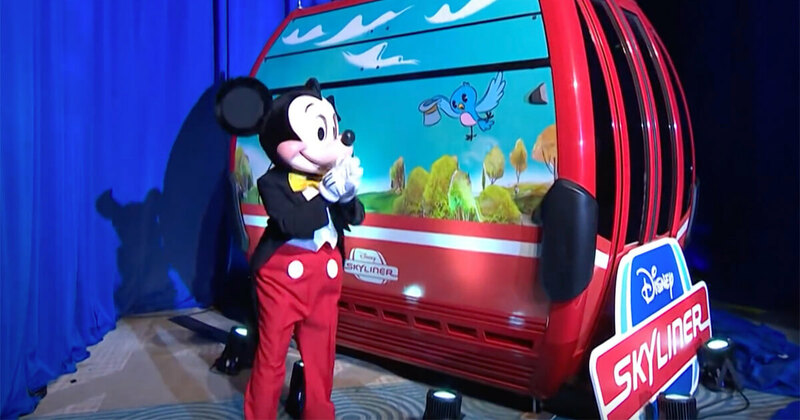 Disney has confirmed that the new Skyliner system cars will not have AC. Disney recently unveiled its first real look at the Skyliner gondolas coming to Disney World in 2019. Disney confirmed to the Orlando Sentinel that the Skyliner gondolas do not have air conditioning. "A Walt Disney World spokeswoman confirmed that the gondolas would not have AC. The cabins were ‘specifically tailored to provide a comfortable ride for our guests in the Florida climate,’ she said. The units will use cross-ventilation for sufficient air flow and reflective windows to prevent direct sunlight’, she said."